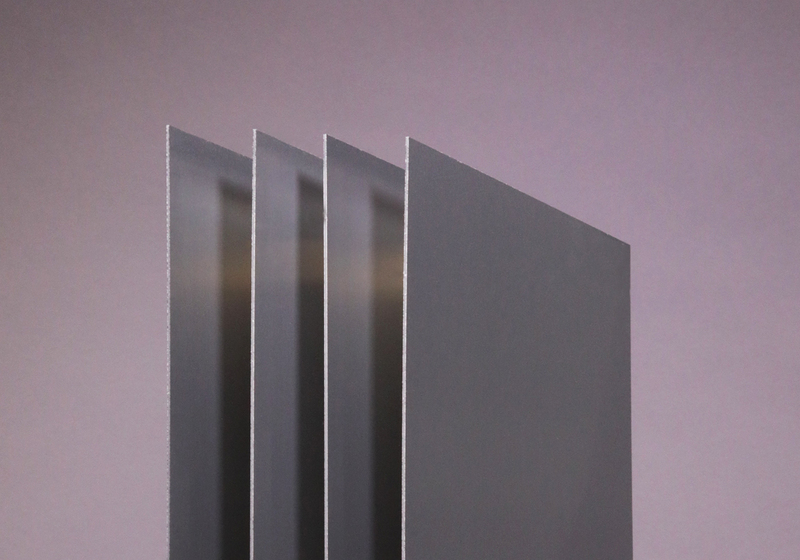 HYLITE® is an aluminium composite panel with a polypropylene core and two aluminium cover sheets. It has a reduced weight (65% lighter compared to steel, 30% lighter compared to aluminium) combined with considerable flexural strength. This makes it suitable for hard wearing applications such as POS/POP and promotional items. One popular application for this product is office equipment such as computer or iPad holders. One unique feature is the ability to 3D form the material in the conventional way that a solid graphic grade polypropylene would be- cut, creased or routed out. The unique, extra feature of using the core as a hinge allows HYLITE® to make inroads into completely new applications such as the office environment. Extremely flat, strong and rigid.